Michael Collins Ajereh was born on 26 November 1982, in Umuahia, Abia State, Nigeria, and is a singer, songwriter, musician, and record producer, probably best known for being the former CEO of Mo’ Hits Records. He is the CEO of Mavin Records and has helped produce tracks for numerous African artists. All of his endeavors have helped put his net worth to where it is today. 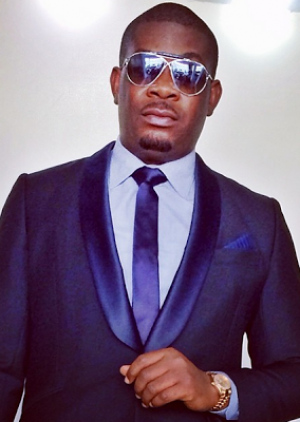 How rich is Don Jazzy? As of mid-2016, sources inform us of a net worth that is at $10 million, mostly earned through a successful career in music. He’s worked with big names in the industry including Dr SID, Naeto C, Tiwa Savage, and Wande Coal. He’s also tried his hand at film work, and as he continues his career it is expected that his wealth will increase. Jazzy became interested in music at a very young age, and started playing the bass guitar. He also learned how to play various percussion instruments, meantime attending the Federal Government College in Lagos. After matriculating, he attended Ambrose Alli University to study business management. In 2000, he visited London and was invited to play at a local church. He found work as a security guard, doing so while improving his music and production skills. In 2004, Don founded Mo’ Hits Records alongside D’Banj and would start to work on his first album called “No Long Thing”. He then released “Rundown/Funk You Up” and worked on a third album entitled “Curriculum Vitae”. He continued to collaborate with various artists in terms of production, and helped release D’Banj’s “The Entertainer “ and Wande Coal’s “Mushin 2 MoHits” which is considered one of the best albums from Nigeria. In the various albums he’s produced, he has also worked as a back-up vocalist and even did so for Beyoncé’s “Watch The Throne” and Kanye West’s “Lift Off”. In 2011, he was then employed by Kanye West to become a producer at GOOD Music. He continued to work with Kanye West, Jay-Z, and Beyonce for a while, although a year later, Jazzy and D’Banj ended their partnership due to artistic differences. Don’s net worth was still rising. After leaving Mo’Hits, Jazzy became an endorser for Samsung’s “Built for Africa” products, and would then start working on a new record label that would become Mavin Records. He released an album to promote the label which included all the artists signed to the company; some of the songs featured were “Amarachi” and “YOLO”. Afterwards, he signed Tiwa Savage to the label, and started to work on a social network platform called “Mavin League”. According to interviews, Jazzy hoped to make Mavin the best record company in Africa in a short span of time. In 2013, Wande Coal left the label and a year later Jazzy would work with Di’Ja on a social activist song. One of his latest appearances was at the Headies Awards 2015, where he argued with Olamide on who should’ve won the “Next Rated” Award. Aside from music, Jazzy also appeared in the film called “The Last 3 Digits” directed by Moses Inwang. For his personal life, Don is known to use a lot of African fabrics and male Indian gowns; he’s often seen wearing this type of clothing in performances and public appearances. His private life remains exactly that!